Should You Hire a Professional or DIY on Those Home Repairs? To DIY or not to DIY? That’s the question on many homeowners’ minds when there’s a repair or home improvement project on their to-do lists. The good news is that you can do plenty of things on your own. But for other projects, you’re better off hiring a licensed contractor, plumber, or electrician to do the work for you. 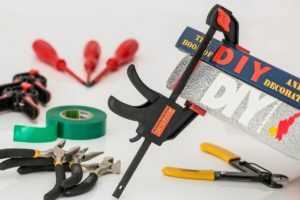 When undertaking a home improvement project, whether you’re buying or selling a home, you want to strike a balance between saving time by hiring a professional and saving money by doing it yourself. So here’s how to know when to hire a professional and when to go DIY. Need an upgrade from tarnished doorknobs, outdated cabinet pulls, or boring light switches? Pick up new hardware from a local home improvement store and go for it. Replacing hardware is a fairly simple fix that any homeowner can do on their own. 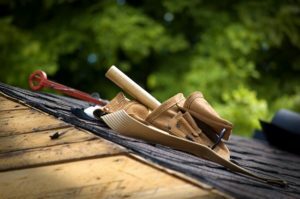 Unless you have significant roofing experience (and aren’t afraid of heights), you’re better off leaving this job to the professionals. Contractors can repair your roof in significantly less time — and save you risk of injury. If the wiring is already there, you can put in a new fan or light in your living room yourself with little problem. Just make sure that you’ve turned off the power on the circuit breaker before removing the original fixture. However, if you want to add a ceiling fan or overhead light to a room that doesn’t have wiring already in place, you will need to hire an electrician. They will check to see if your home has sufficient amperage (and rewire the room if necessary), cut and patch drywall to install the fixture, and add a light switch. 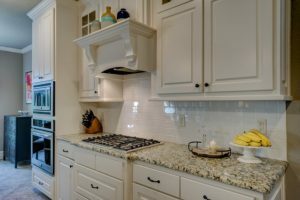 Installing a new oven, refrigerator, washing machine, or dishwasher takes quite a bit of know-how, so you’re better off hiring a professional to get the job done right. They will check the wattage, check gas and water connections, and ensure that your new appliance is level, among other things. Adding wall tile to your kitchen or bathroom is something you can do yourself. Home improvement stores have all the equipment you need, from mortar to tile cutters to the wall tiles themselves. When considering this DIY project, make sure that you have the time to prepare the mortar and grout, lay the tile, seal the backsplash, and allow everything to dry. Upgrading your countertops involves precise cutting of the quartz or granite and assistance from several people to lift the heavy countertops — plus the initial assurance that your cabinets can support the weight of the heavy material. So when installing new granite or quartz counters, it’s better to hire a professional. Whether you’re buying or selling a home, we can connect you with trusted contractors, electricians, plumbers, and other professionals who can save you time and money on your home improvements. Contact us and we’ll be happy to provide recommendations!